I have long been fascinated by restaurant wine lists – even before the days I ran a restaurant for 23 years. In my restaurant days I felt that my wife’s Michelin-starred skills ought to be adequately rewarded and so the dishes were priced accordingly. By contrast, I never marked up my wines more than twice (except perhaps Sancerre or Chablis!) and the more expensive wines had a flat cash margin added on them. So we were considered an expensive restaurant by the popular media in comparison to our peers, but our wines were really dirt cheap in comparison, too, but this didn’t seem to have been noticed by the gastronomically unwashed except for certain members of the wine Trade who raided me en masse when they found out that I was selling Ch. Ducru-Beaucaillou 1970 in the restaurant at less than the current auction price. Well, of course they cleaned me out of that, but I was not unhappy because I made the margin that I wanted and it all got sold. There are still good restaurants with great wine lists but the problem is always to try and come away feeling that you haven’t been ripped off. Choosing the cheapest wine on the list is no answer and this is probably the wine that the restaurateur has made his biggest margin on and it isn’t even good. In this section we are therefore going to take wine lists from leading restaurants and provide you with an in-depth analysis of them to ascertain their good points, their weak points, their value for money. We’ll point out to you which wines are undervalued, which are terribly overpriced – all based on our price/quality criteria. To give you some idea on what basis we rate restaurant wine lists, please read our page on Ratings and Value for Money. At the end of the review, we give the restaurant a score for their wine list which is based on a complicated formula which takes into consideration the percentage of wines on the list which rate 3 stars or more (quality), the percentage of wines that are underpriced , reasonable value or overpriced according to our criteria (value) and whether the list has a good percentage of half bottle, and wines by the glass, decent tasting notes and readability (impression). These are then tallied up and the list given a score. It is not a score out of a maximum – it’s just a score, but the combination should bring up some interesting results. 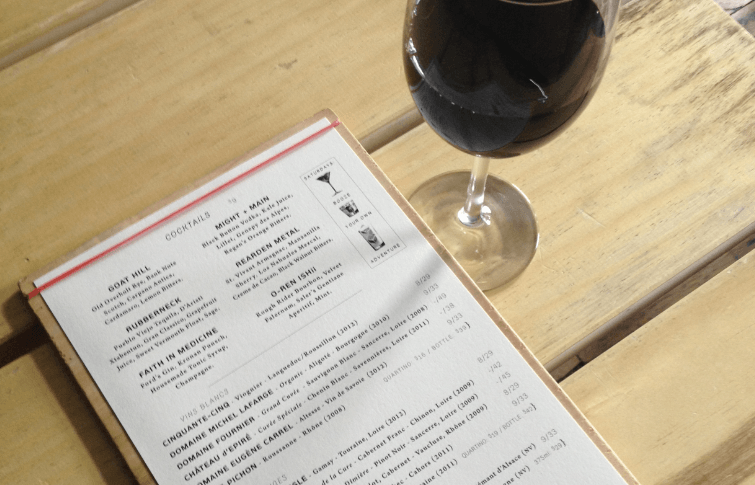 Although the emphasis is on quality, those restaurants that can list quality at low prices could score heavily, even though they may not have as many quality wines as some of the more expensive establishments. At the end of the year, we will produce a league table to see who has the wine list of the year. But you can do this exercise yourself. I have written a little guide on how to choose wine in a restaurant. You need to spend a little time doing your homework, but the results could be very satisfying. And we would love your feedback – especially when you have found a wine list that merits outstanding value for money.